Mum of four Nicola Huelin believes that women can build a business they love and make a difference at home for the ones they love most. without having to struggle. And she’s on a mission to help one million women achieve it! I’ve always been passionate about business, from as far back as I can remember. 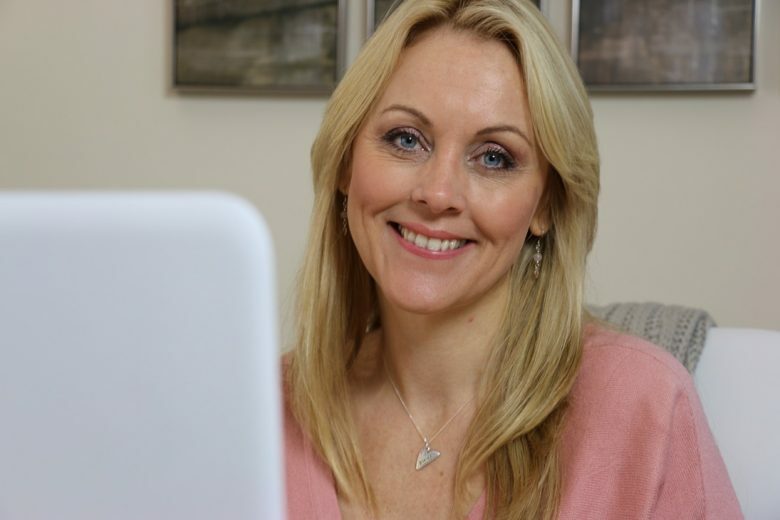 Even if the later part of my working life has been more focused on running my own businesses (and helping other women to start and grow their own lifestyle-business) my corporate career was still a very important and rewarding part of my life. It literally began the day I graduated from university, with my first job in marketing for a start-up company in France’s equivalent to the ‘Silicon Valley’. What was life like for you as a working mum then? In the early stages of my career, things were relatively easy. With only one child I juggled everything without too many problems. But as time passed, our family and careers grew and so too did the challenges. My roles became more and more demanding, and with more children came increasing family demands. I had more and more to do with seemingly less time to do it. Luckily, my project management and organisational skills were my saving grace at that time. Why did you eventually walk away from your career to start a restaurant in France with your husband? At the time, I couldn’t see the snowball effect that was already building in my life, but the warning signs were already there. I felt tired and drained from doing such a good job of juggling everything. There were never enough hours in the day, and I usually put my own needs last. I lived for the weekends only to find myself trying to catch up with household chores. When I was with my children I thought about work and when I was at work I felt guilty about not being with them. I would beat myself up, thinking I should be doing more or doing better. I didn’t want to stop working, nor could I afford to either, but I couldn’t see what I could do differently, except invent a 29 hour day! The turning point for me came when I was working for a global consulting company and was picked to take part in a six-month ‘fast-track’ training programme. The trainer told us a story about a piece of ribbon, a simple yet powerful story which for me highlighted the importance of addressing work-life balance issues and the costs of remaining stuck in my status quo. It was after hearing that story, that I made the decision to give up my job and follow my husband in his dream of setting up his own gastronomic restaurant in a small village in the South of France. Your restaurant was a big success – why did you decide to sell it? Following your husband’s dream, all being together as a family, starting your own family business in the South of France? Sounds idyllic, doesn’t it? Surely we all lived ‘Happily Ever After’? Although the restaurant was a huge success financially, and we saw more of each other (as we lived above the restaurant), I can honestly say it was the worst time of my life. For the first time ever I felt lost, trapped, and overwhelmed. But wasn’t I at least seeing more of my children? Yes, but therein laid the problem – seeing’ my children, was not ‘being’ with my children. I was so stressed and overwhelmed by the business that when I did spend time with my children, I was far from being the best version of myself, and I actually had very little left to give them. I’ve often reflected on this period, trying to figure out why it was such a difficult time for me. I’d always worked, was used to working very hard while juggling everything. I’d also spent years working in restaurants as a student to finance my studies, so I knew the problem wasn’t the job itself. What I came to understand is that my decision to leave my job and start up a business was not a choice I made from a sense of passion or purpose, it was a ‘way out’ driven by fear, guilt and a sense of what I ought to be doing. Your body and your emotions are so good at warning you when you are not on the right path. Lack of fulfillment and purpose had turned to boredom and frustration, then stress, next being overwhelmed and feeling depressed and ultimately physical and emotional burnout. What directions has your career path taken since? Today I’m an award-winning business coach and mentor, author and speaker. That first business experience 15 years ago started me on a personal quest to find out what it really takes to start and grow a business you love without overwhelm – without it compromising your quality of family life, health or sanity. From my own personal journey and having connected, coached and mentored hundreds of other mums in business, I’ve discovered the 14 key ingredients every Mum in business needs to understand in order to start, grow and sustain a successful business in a way that’s right for her and her loved one – which I write about in my book The Invisible Revolution. I’m really blessed to be on this mission to empower one million mums in business, I’ve won awards for my work through Mpower for Mums in Business, and been featured on international TV, which is all really such an honour. Why is passion and purpose so important in choosing your business? All successful business owners have one thing in common – they have a clear and compelling vision. I believe in order for a business to be both successful and sustainable in the long term, that vision needs to be based on more than just making money. Today’s most successful business owners who are able to stand out from the crowd, able to overcome the inevitable challenges and obstacles and are able to engage and inspire their clients and communities, are those who have a vision full of passion and purpose. My biggest source of inspiration genuinely comes from the amazing ladies in the Mpower business community. I never cease to be impressed by the way these amazing mothers and women take action, and really invest in themselves to develop the knowledge and confidence they need to step outside their comfort zone and transform their lives and start turning their business dreams into reality. As a business coach and mentor, what are some of the biggest lessons you have learned? I’ve always understood the important role our thoughts, beliefs and emotions play in life, but it was really when I studied as a personal transformation and small business coach that I truly understood the extent to which mindset can make or break a business. Your mindset, your thoughts and your beliefs can make or break your business. As the late and great Henry Ford put it, “Whether you think you can, or you think you can’t, you’re right.” I truly believe that business success is 20% about knowledge and skills and 80% to do with having the right mindset. One of the other things is how many people are overwhelmed because they don’t have a plan. There is definitely a right way and a wrong way to plan when you are growing your own business, especially if it’s the first time. The wrong way is when it becomes a ‘tick-box’ exercise, creating a complicated business plan, simply because people are saying that’s what you need to do when you start out. These plans quickly become outdated and either collect dust on a shelf or get buried under a pile of other papers. The most important thing a business owner can do is create a simple, yet powerful one-page business plan, that will act as a guiding beacon at every stage of their journey. I call it a ‘Pareto’ plan, a plan which shows people how to get and stay in what I call their “20% zone” – where twenty percent of your efforts will get you eighty percent of your biggest results. It all starts with Vision and the right strategic plan. What is Mpower, and how do you help women? Mpower brings together women who have one thing in common – they want to take charge of their success in business, but they don’t want to compromise on being a great mum, and they especially don’t want to be at the top of their game simply through any of the three life-sucking S’s – Struggle, Self-sacrifice or having to become Superwoman! Through the Mpower community, our Mpower Mastermind groups and the Mpower business Academy, I help women to get the business support they need to make their business happen in a way that’s right for them. You’ve balanced being a successful business mum with raising four children. What advice do you have for other women? There’s so much I would love to share with any mum reading this article who is thinking about starting her own business, or has a business and is trying to get more clients or simply wants to take her business to the next level. In fact, this is the very reason I wrote The Invisible Revolution, to share not just my own insights, but the collective wisdom, inspiration and insights of all the other successful mums in business I’ve worked with and interviewed who are real role-models. However, if I had to pick my top three tips as a starting point, I would say forget the time management tips and tricks for now (although they have their place, those are the icing on the cake) and focus on the starting point of laying solid foundations for the business and lifestyle you want to build. As I mentioned earlier, all successful business owners have one thing in common – and that is they have a vision. I’m not just talking about a vague desire for something in the future, I’m talking about a clear and compelling vision. What’s important for anyone who wants to have a very successful business, but who also values their lifestyle and relationships, is your ‘business’ vision must not be created in isolation. Your vision needs to be holistic, encompassing all important aspects of your life. Often, if we don’t have a clear and compelling vision of what we do want in life, our natural instinct is to become heavily focused on what we don’t want in life. Think of it as if you were going on a journey, the most important journey in your life. Can you imagine what that journey would look like, if you only had maps of everywhere you don’t want to go? What would be the chances of you actually getting where you really wanted to go? Not only do you need a vision, but you need a plan to make that vision a reality. Often people’s eyes glaze over when I start talking about planning, but as I said above I’m not talking about complex documents that take forever to produce and then just sit heavily on a shelf collecting dust. I’m talking about simple planning tools which are easy to create, and when done the right way will act as powerful tools for giving you clarity and focus in your business and in your life. And reduce the likelihood of stress, anxiety and overwhelm, which can be so common when people are starting up their own business for the first time. Fact: Without clients you don’t have a business. There are no tricks in marketing, but there are proven strategies and techniques which when used in the right way for you and your business, will result in what I call ’20:80 Attraction Marketing’. Making sure you focus on the 20% which is going to yield the 80% results. When we do this in the right way, instead of ending up in a situation where we feel like we are forever chasing our next client, we create an environment where we attract our most ideal clients, with great ease. By getting your marketing strategy right, and by understanding how to do 20:80 Attraction Marketing, your time, money and energy will no longer spent chasing clients, and can be spent on your family instead. Nicola Huelin, is founder of Mpower for Mums in Business, a business support community for women who want to make a difference building a business they love, while making a difference for the ones they love most!